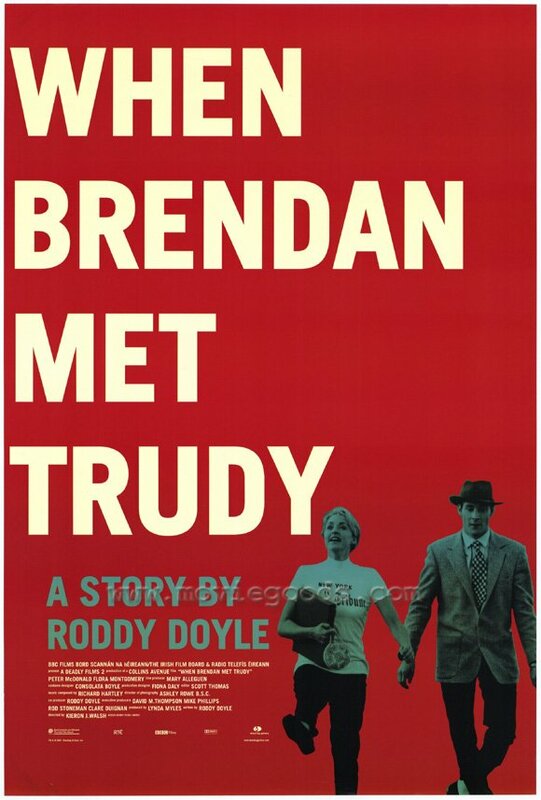 When Brendan Met Trudy is a 2000 Irish film and very much a product of the Celtic Tiger, an anything-can-happen mess of a movie that plays with everything from conventional characterization to genre, perspective and homage. 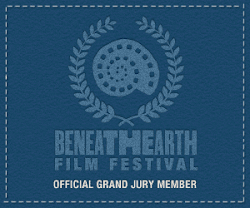 Brendan (Peter MacDonald of I Went Down and Nora) is a Godard-loving schoolteacher and choir singer. He is uptight, reserved and shy. Nothing seems to interest him very much and he has reverted so far into his shell that even casual situations involving other people become embarrassing disasters. He meets Trudy (Flora Montgomery of Goldfish Memory) in a pub and their instant attraction changes Brendan forever. Director Kieron J Walsh (this year's Jump) and writer Roddy Doyle (whose screenplay credits also includes the adaptations of his ‘Barrytown Trilogy’ – The Commitments, The Snapper and The Van) have fashioned a freewheeling and genre-bending romcom that is as much a love letter to cinema as it is a story about Brendan and Trudy. As a result, it is a mess. First of all, the film is without a clear narrative line. A strange subplot that threatens to throw the whole film in a more Suspicion-like direction is dispensed with almost as quickly as it is introduced. Worse still is a subplot about an African prince, one that is totally out of place. Similarly, Brendan is far from a carefully thought out character. He seems to climb in and out of his shell whenever the story requires him to. Worse off, however, is Montgomery, saddled with a character that flips from the movie-typical kooky and energetic city girl to psycho killer to burglar to begrudging and vulnerable innocent. You never really get a sense that Trudy cares all that much about Brendan, so much so that you watch the film and wait for the story to take a dark turn, like the wholly predictable An Education. Brendan and Trudy do not go through any real change (let’s ignore that silly word ‘arc’), as they remain as indefinable and unknowable as they did at the beginning. As a result, the film is fairly incomprehensible and inconclusive, albeit light and often fun. The film captures a time and place, powered as it is by the same feelings of excitement and prosperity that imbued Celtic Tiger Ireland. Because anything could apparently happen in Ireland then, the film frequently jumps into Godard homage with a comedic recreation of the famed Champs d’Elysses scene from A bout de soufflé. Walsh takes the excitement of the French New Wave and creates an Irish film that is somewhat rare, one that is actually happy to be Irish – not unlike Gerard Stembridge’s Rashomon-esque ­About Adam from the same year. Staying with the Godard strain within the film, the film is ultimately an exercise in cinematic style, one that thanks Godard for breaking the rules without considering what he broke them for. Like early Tarantino, it is style for style’s sake. Problematically, the film has very little to say. Watching it now, with Ireland back in the grips of a bad economy, the film seems so naively optimistic. It becomes lovable in its obsolescence and touch bittersweet. However, that said, the film can be a lot of fun, with even the abandoned Suspicion subplot rewarding patience with a very good, though belated, punch line. It is a mess and it goes absolutely nowhere, it is a funny and endearing trip.